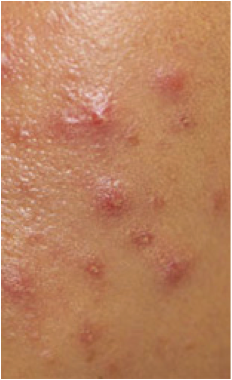 Acne, usually a conditioner that occurs during teenage years, is the result of uncontrollable levels of secreted skin oils. This heightened level of oil secretion is often the body’s attempt to combat dry, scaly or malnourished sin. The skin becomes greasy, the pores become blocked, and blackheads, pimples and cysts form. Infants can suffer the condition, but usually it is a mild form. During this process of excess oil production, dust, dirt and dead skin cells become lodged in the skin’s pores, and are then covered by skin oils. 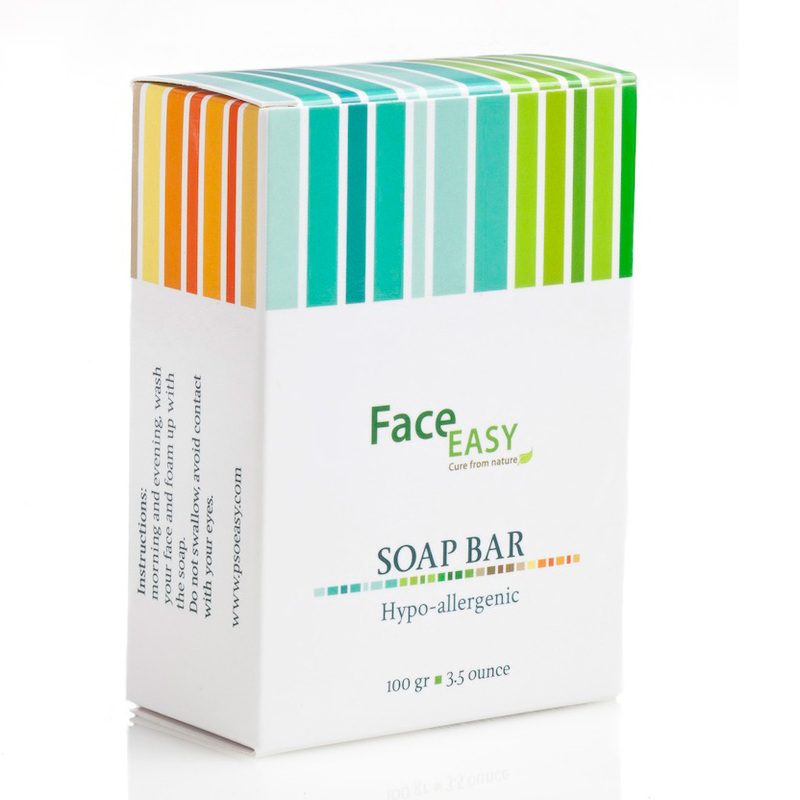 For Acne we recommend the FaceEasy Kit. The Kit was developed by dermatologist Dr. Zeev Pam, an expert in the area of acne and publisher of the book: “Acne the True Story.” The FaceEasy Kit contains 4 products that cleanse, treat and rehabilitates pimple-prone, oily skin. This is a highly effective natural treatment for Acne. This hypoallergenic goat milk soap is a natural emollient that rehabilitates, soothes and moisturizes skin. The soap contains vitamins, minerals, proteins, iron, potassium and calcium and is designed to effectively treat skin problems such as acne and redness. Goat milk contains lactic acid, which helps to exfoliate, cleanse and soften the skin. The lactose dissolves oily substances that penetrate facial skin while the casein maintains the skin’s moisture. This soap is a luxurious cleanser, gentle enough for both face and body, leaving your skin silky soft, hydrated and clean. The soap can also help with psoriasis, eczema and dermatitis symptoms. After using FaceEasy Soap, complete the skin cleaning process with FaceEasy Lotion, which thoroughly cleans the skin and seals skin pores. FaceEasy Lotion helps to rebalance skin moisture and prepares it for the next step, applying FaceEasy Cream. FaceEasy Cream is a combination of pure essential oils, plant extracts and minerals from the Dead Sea. FacesEasy Cream is designed to provide the face with the minerals and oils that enable skin hydration and softness levels. Equally as important, when applied to the face, FaceEasy Cream aids in reducing oil production. This formula of ingredients provides an effective and safe solution for treating facial pimples. FaceEasy Cream accelerates blood flow, removes extra oil, calms the skin and protects it. The FaceEasy Mask is a green clay derived from a type of soil rich in minerals, calcium, magnesium, potassium and sodium. The clay absorbs toxins and extra oil produced by the face, while enabling a deep clean, and at the same time providing the face with a healthy, natural glow.